Back in the day, 110 sized film cameras were the bomb. Everyone had one, and everyone processed the film. These camera were easy to use, rarely a battery and mostly point & shoots. The film was self contained with no mess or fuss. 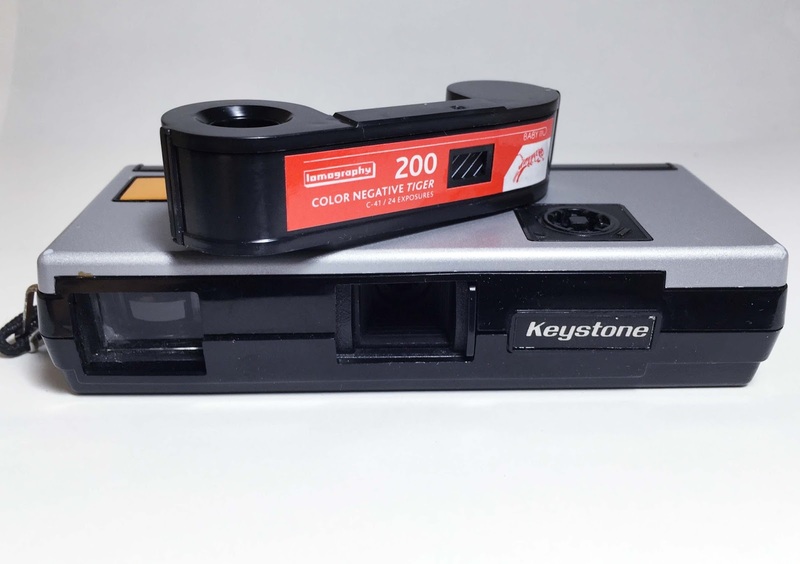 If people still shoot film it's mainly 35mm, 120mm or instant film format. There are several large format film shooters, but rarely do you find 110 film being used. That doesn't mean you can't shoot these cute little cameras. I still do for giggles. I probably have 5 110 sized cameras. Lomography produces the film that I'm using, Lomography Tiger 200 Color is actually quite good. They also produce Orca B&W. I found this Keystone Pocket-Matic 101 110 sized camera the other day at Goodwill, and loaded it up. Just finished the roll tonight and will be sending it to The Darkroom over the weekend to see how it turned out. Should be groovy. I'll report back.